My daughter made an Edward Mordake pumpkin. Well, sort of. 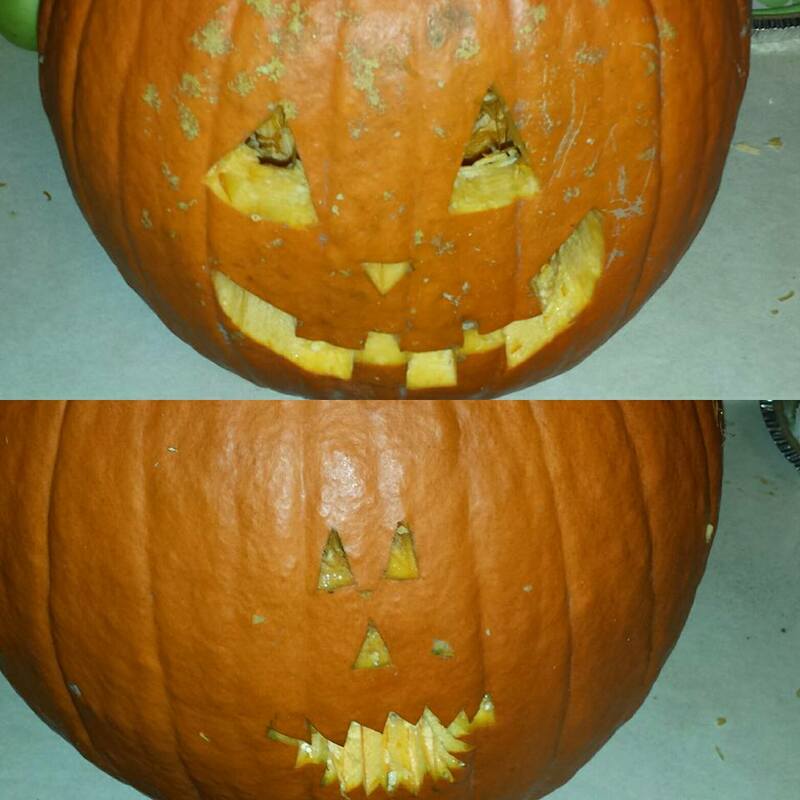 What she actually did was draw a small face on one side of the pumpkin for me to carve. Tiny eyes, tiny noise, giant mouth full of wicked teeth. And I instantly started humming Poor Edward. With her approval, I drew another face, a larger jack-o’-lantern face on the other side, and thus our Edward Mordake pumpkin was made. “Edward Mordake” (sometimes spelled “Edward Mordrake”) was a fictional character created by science fiction writer Charles Lotin Hildreth in 1895. Hildreth claimed that Mordake, heir to an English peerage, had an extra face on the back of his head. The duplicate face could neither eat nor speak out loud but was seen to “smile and sneer while Mordake was weeping.” Mordake reportedly begged doctors to have his “Demon face” removed, claiming that it whispered to him at night, but no doctor would attempt it. He committed suicide when he was 23 years old. The description of Mordake’s condition is somewhat similar to that of Chang Tzu Ping, a 20th-century Chinese man who had his second face surgically removed. He died because of the second head. But more than likely, you know him as either that guy from the Tom Waits song (Poor Edward off the album Alice), the guy from American Horror Story: Freak Show, or as my daughter’s pumpkin. Have a Happy Halloween and remember, Raise Creepy Kids!